Ceremony recognizes outstanding teaching and leadership performance from instructors across the district. On April 19, Hilliard Lyons honored 46 teachers and principals of Jefferson County Public Schools (JCPS) during the seventh annual 2019 Hilliard Lyons Excellence Awards. The awards ceremony, sponsored by Louisville-based Hilliard Lyons, a Baird company, recognizes outstanding teaching and leadership performance from instructors across the district. Almost 500 schools from more than 100 Kentucky school districts competed in the Student Technology Leadership Program (STLP) State Championship on Thursday, April 18 at Rupp Arena in Lexington. Forty-two JCPS schools brought Level 2 Showcase projects to the competition floor. These schools advanced to state by qualifying at the regional competition held at the University of Louisville in November. 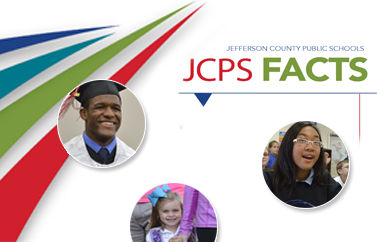 April 9, 2019 — The Jefferson County Public Schools (JCPS) district has the capacity to manage the intervention of its most struggling schools as the system undergoes “a clear culture shift,” according to the district’s Diagnostic Review released by the Kentucky Department of Education. Registration is open for Camp Ready4K, the Jefferson County Public School (JCPS) District’s kindergarten readiness camp serving incoming students the summer before they start school. Alison Dahlgren has been selected as the new principal of Sanders Elementary School. Jefferson County Public Schools (JCPS) hosted the district’s first Bullying and Suicide Prevention Summit on March 21, creating a dialogue on the issues facing teens and helping to develop strategies to support students across Kentucky. Seneca High School has earned the first College Board AP® Computer Science Female Diversity Award for achieving high female representation in AP Computer Science Principles. Schools honored with the AP Computer Science Female Diversity Award have expanded girls’ access in AP Computer Science courses. Out of more than 18,000 secondary schools worldwide that offer AP courses, Seneca is one of only 685 to accomplish this.